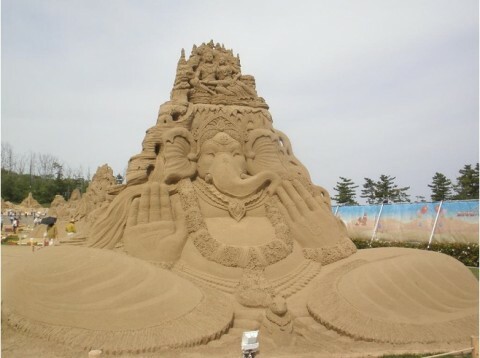 Tottori city is home to Japan’s largest sand dunes, the locals have taken a lot of pride in this unique site, and for those who wish to enjoy it further, the World Sand Sculpture Festival features sand sculptures from some of the most impressive sculptors in the world. In the evening, they light up the sculptures. There is typically a theme among the sculptures. There was once a folktales and legends theme, so every sculpture symbolized a fairytale or legend from the sculptor’s home nation. The sculptures are all judged, so you can see the top three and compare their choices to your own personal favorites. Along with looking at the sand sculptures, there are a variety of food vendors and tents filled with various souvenirs. It’s a great time!